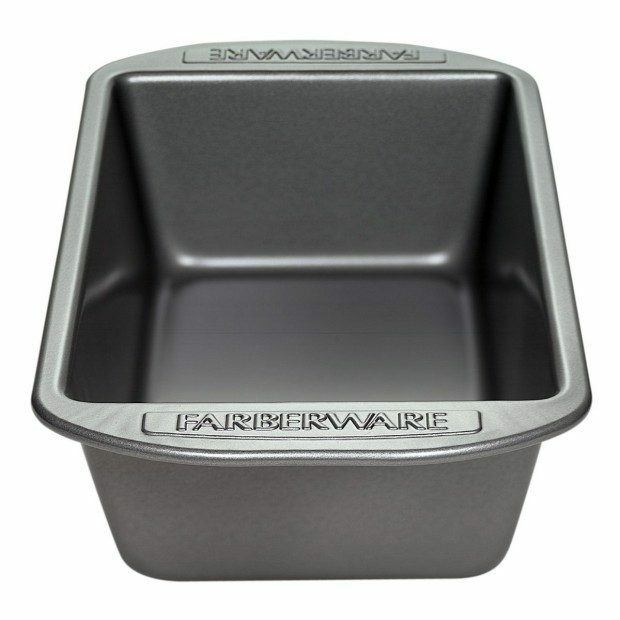 Farberware Nonstick Bakeware 9-by-5-Inch Loaf Pan Only $5.53! Head over to Amazon and get a great deal on this Add-on item! Order the Farberware Nonstick Bakeware 9-by-5-Inch Loaf Pan for Only $5.53! Reg. 14! Get FREE shipping on orders of $49+ or if you have Prime! You always need a couple of these so get 2! Use them to give gift quick breads ! Or give ingredients, recipe and a pan! A commonly requested size in recipes for yeast breads, quick breads, and pound cakes, this 9-inch by 5-inch loaf pan is also standard to many meat loaf recipes. Made of even heating carbon steel, the pan is designed for even browning. The pan has a nonstick coating to help you remove the bread from the pan with ease and make cleanup easy!